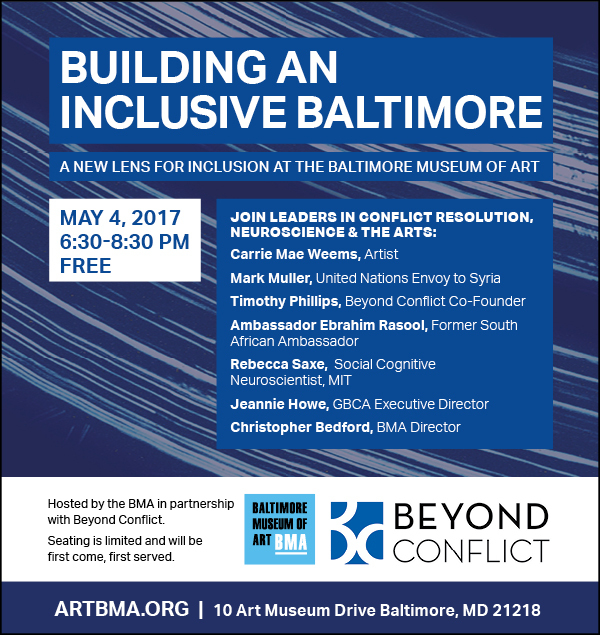 WHEN: May 4, 2017, from 6:30-8:30 p.m. In partnership with Beyond Conflict, a global initiative internationally recognized for its powerful new approaches to achieving peace in divided societies, the free event on brings together leaders in the arts, conflict resolution and behavioral science to share the drivers of exclusion and the ways people consciously and unconsciously act. The event seeks to apply these insights to spark strategies for cultural organizations to more meaningfully engage with and reflect their communities.